Using commas correctly can be a bit tricky sometimes. In fact, it is difficult even for native speakers. 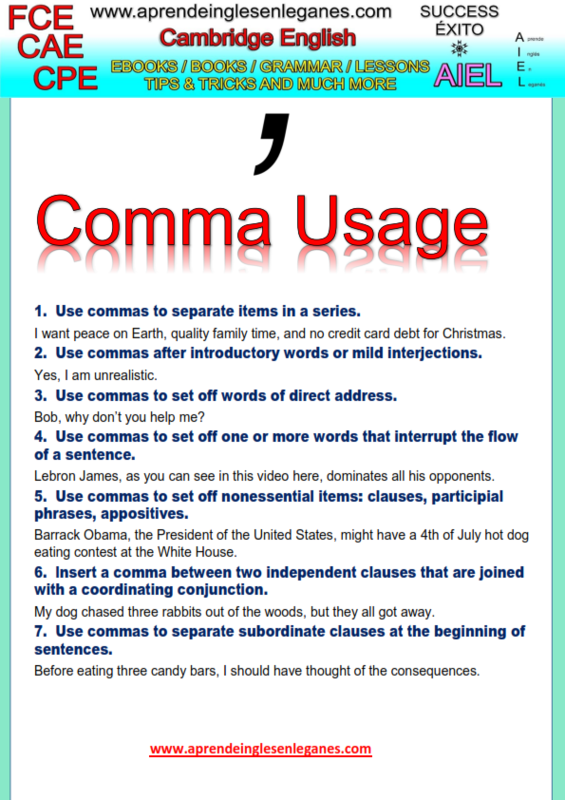 Below you will find a grammar sheet containing some rules that will help you to decide where to put a comma and where not to.